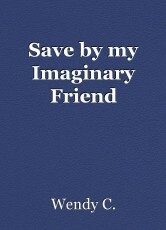 Save by my Imaginary Friend: Chapter 8, book by Wendy C.
Emily make a new friend. It has been a year since Emily went into hiding. Emily has not heard from Kevin in a year. Emily was glad that Kevin has not found her. Emily also becomes friends with Patty’s daughter Candy. Emily even starts going out more. Candy and her went to the movie theatre. Emily did not know why she was afraid of going out. Emily is wanting to go to public school but her aunt thought it would not be safe as long Kevin is on the loose. Emily has not heard from her parents. Emily misses her parents but it is not safe for them to contact her. Lucy miss Emily but she knew that they could not contact Emily until the police get Kevin back in the mental hospital. Lucy and Jack move to Paris French a day after Emily left. Jason Anderson thought it would not be safe for them stay at their home. Lucy and Jack have not talked to Jason Anderson since they move a year ago. Lucy and Jack have been watching the news to see if the police have caught Kevin yet. Jordan has a friend that kept them informed. Candy came over to visit Emily. “Have you seen the Star Wars movies?” Candy asks Emily. “No, I have not,” Emily answers. “If it is ok with your Aunt Lisa do you want to come and spend the night? We also can go the movies the next day,” Candy says. “Yes, I will ask my aunt If I could go,” Emily says. Emily went to look for her aunt. “Aunt Lisa, I was wondering if would be ok if I can spend the night with Candy and go to the movies with her the next day?” Emily asks. “Yes, It would be ok,” Lisa answers. Emily went to tell Candy she could spend the night with her. Emily and Candy went to the movies they saw all the Star Wars movies. Emily really enjoys the movies. Emily did miss Cassie. Emily has not seen Cassie in a year. Emily was wondering if she would ever see Cassie. When Emily and Candy got home they watch TV than go to bed. Candy got to spend the night with Emily. Lisa was watching the news. The news was saying the police caught Kevin and he was back in the mental hospital. Emily was happy to hear that. “Since the police got Kevin in custody can I talk to mom and dad soon?” Emily asks Lisa. “Honey, it is not safe yet. Jordan Collier thinks we should wait a year until we get hold of your parents. We have to make sure Kevin does not try to escape,” Lisa says. “I just miss mom and dad. “Do you think Kevin will try to escape again?” Emily asks Lisa. “I do not know but it better to be safe than sorry,” Lisa said. Jordan Collier and Kyle were wondering how the police caught Kevin so easy. Kevin gave up without a fight. “I wondering what Kevin is up to?” Kyle asks Jordan. “I think Kevin is trying to find information on where Emily is but the police are not going to have that information,” Jordan answers. “I just hope the police are able to keep Kevin in custody,” Shawn says. David Dunn came to visit Kyle. “Do you think the police will be able to keep Kevin in custody this time?” Kyle asks David. “I do not know because Kevin is sneaky. I am hoping the police can keep him in custody but I think they need a whole army to keep Kevin in custody,” David told Kyle. “How is Casey doing?” Kyle asks David. “Casey is doing good. Also, Casey is about to graduate high school,” David answers. Jordan Collier went to talk to Kevin in the mental hospital. “Kevin, my name is Jordan Collier,” Jordan says. “I know who you are Mr. Collier. What do you want?” Kevin asks. “I am here to tell you to leave Emily alone and get the help you need in this hospital,” Jordan says. “Emily is my daughter and I have to right to see her,” Kevin says. No, you do not. When you murder those innocent girls you lost your rights to be a father," Jordan says. 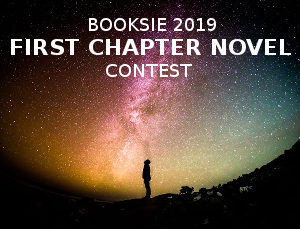 © Copyright 2019 Wendy C.. All rights reserved. Other Content by Wendy C.
This page was created in 0.3381 seconds.